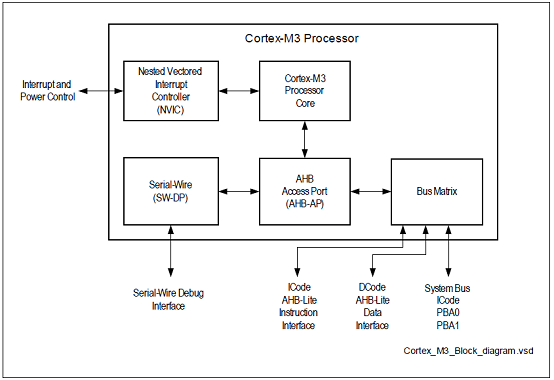 infineon公司的TLE9879QXA20是集成了ARM® Cortex®-M3 MCU和LIN和BLDC MOSFET驱动器的三相马达驱动器,包括了全集成的NFET驱动器,它通过六个外接功率NFET来驱动3相马达;能低压工作的电荷泵以及具有电流斜率控制的可编程电流,从而最优化EMI性能.外设包括电流传感器,逐次逼近式模拟转换器(ADC)以及用于PWM控制的捕获和比较和16位计时器.此外还集成了LIN收发器和大量的通用I/O与线性稳压器以给外接负载供电.主要用在汽车燃料泵,HVAC风机,引擎冷却风扇,水泵,BLDC泵和风扇,无传感器和有传感器BLDC马达.本文介绍了TLE9879QXA20主要特性,框图以及功率管理单元框图,系统控制单元-数字模块框图,Cortex-M3核框图,简化应用框图和外接元件表,评估板TLE9879 EvalKit V1.2主要特性,电路图和PCB设计图. 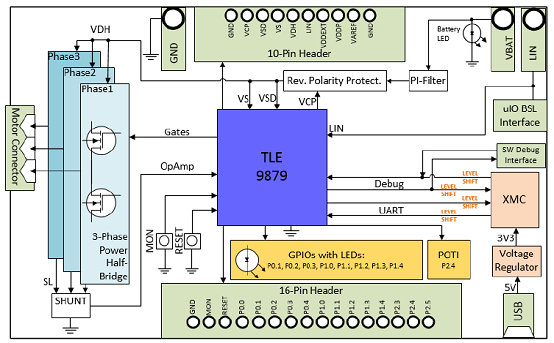 The TLE9879QXA20 is part of the TLE987x product family. 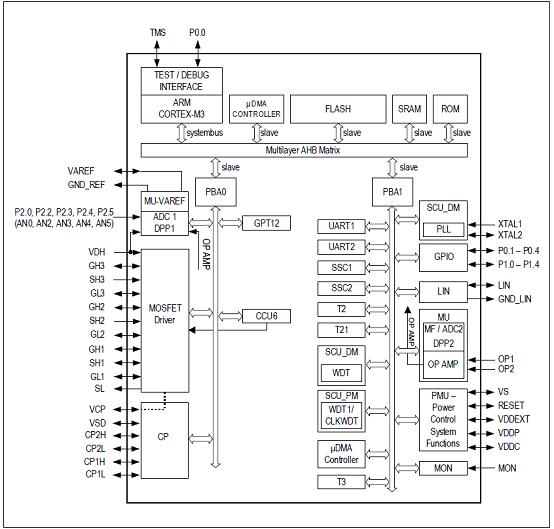 The TLE9879QXA20 is a single chip 3-Phase motor driver that integrates the industry standard ARM® Cortex™ M3 core, enabling the implementation of advanced motor control algorithms such as field-oriented control. 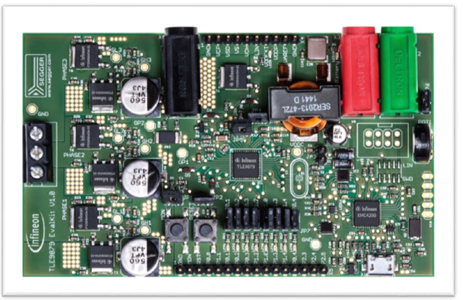 It includes six fully integrated NFET drivers optimized to drive a 3-Phase motor via six external power NFETs, a charge pump enabling low voltage operation and programmable current along with current slope control for optimized EMC behavior. 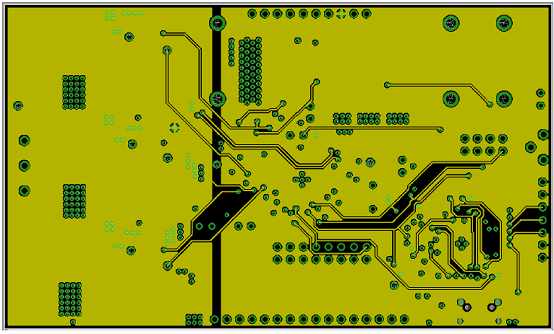 Its peripheral set includes a current sensor, a successive approximation ADC synchronized with the capture and compare unit for PWM control and 16-bit timers. 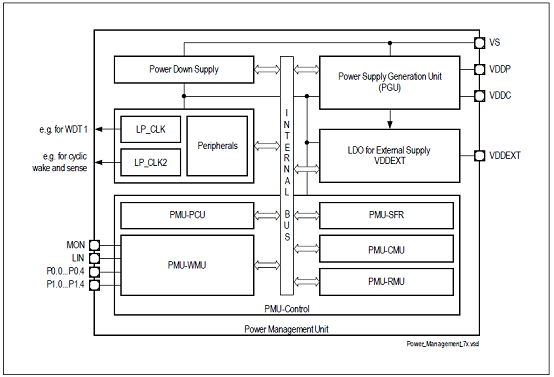 A LIN transceiver is also integrated to enable communication to the device along with a number of general purpose I/Os. 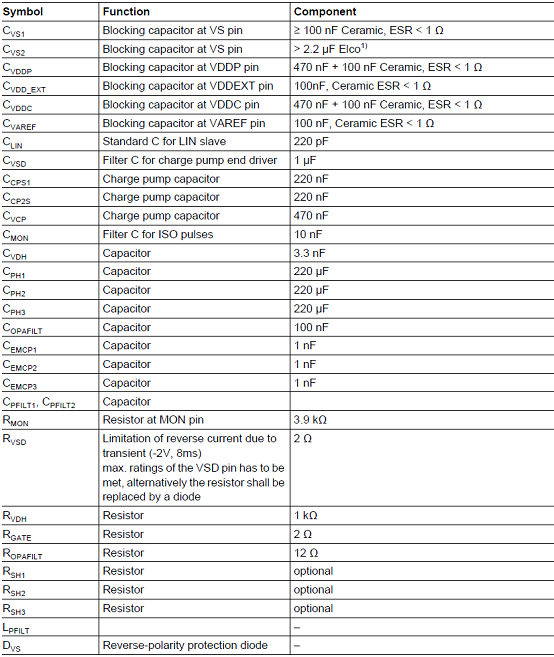 It includes an on-chip linear voltage regulator to supply external loads. 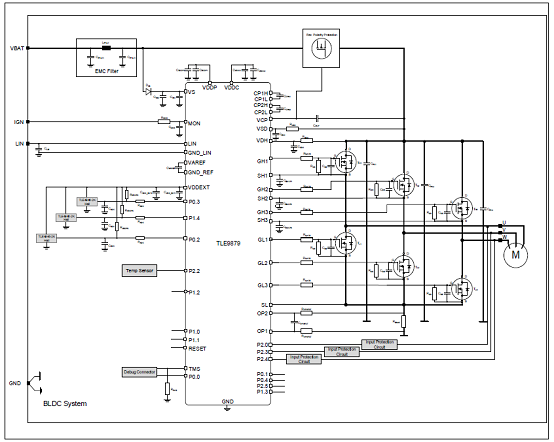 It is a highly integrated automotive qualified device enabling cost and space efficient solutions for mechatronic BLDC motor drive applications such as pumps and fans. 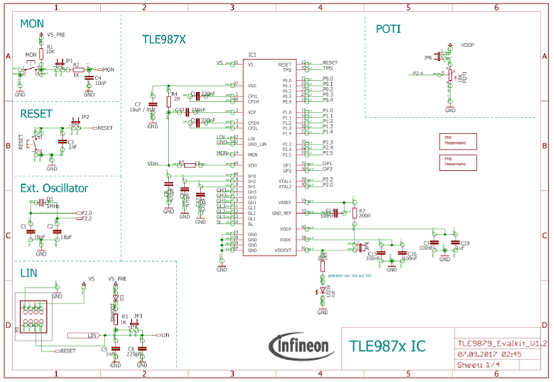 This board is intended to provide a simple, easy-to-use tool for getting familiar with Infineon’s embedded power IC TLE9879. 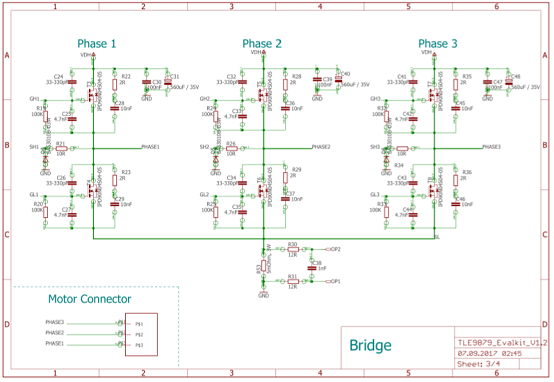 It contains the TLE9879 and its typical application circuit including three MOSFET half bridges to instantly drive a BLDC motor. 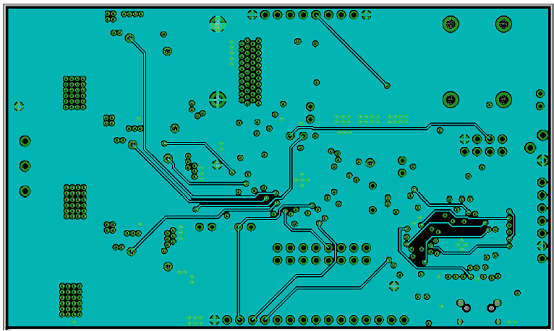 The board is ready to connect with car supply or similar and has an implemented Segger for debugging on board. 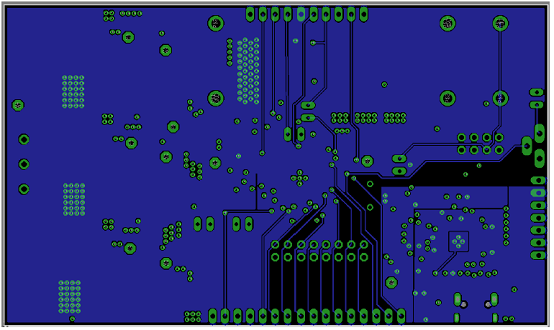 All relevant chip pins are connected to pin headers at the edge of the board, where signals can be probed or applied directly. 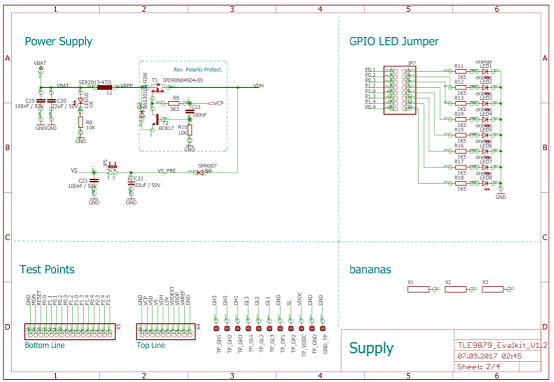 By different jumper settings LEDs can be put in parallel to several ports and selected functions can be configured. Push button switches allow easy hardware reset and triggering of the MON input. There are intended test points for all six gate driver pins, for measurements at the shunt, VDDC and several ground points on the evaluation board (see Figure 3). 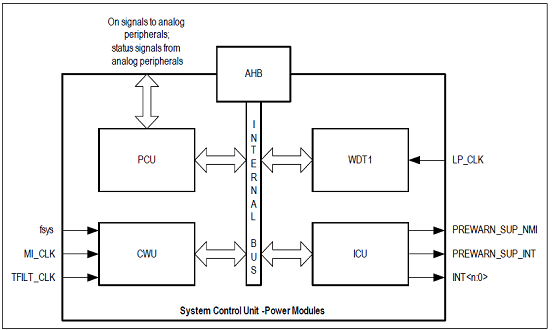 For testing analog signals ADC inputs can be varied by the potentiometer on board. Three phases of motor current can be picked off at a terminal block to connect a DC brushless motor. The evaluation board can be operated by standard laboratory equipment as power supply and LIN communication are working via banana jacks. 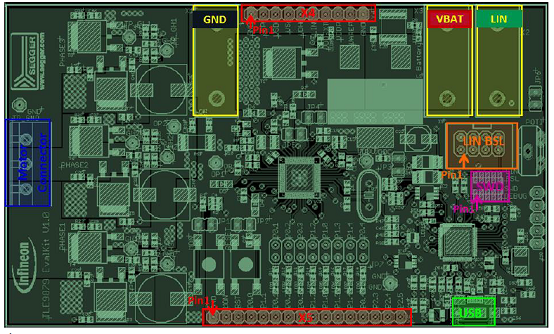 Debugging and UART are provided via an USB interface combined with onboard Segger J-Link (XMC4200). 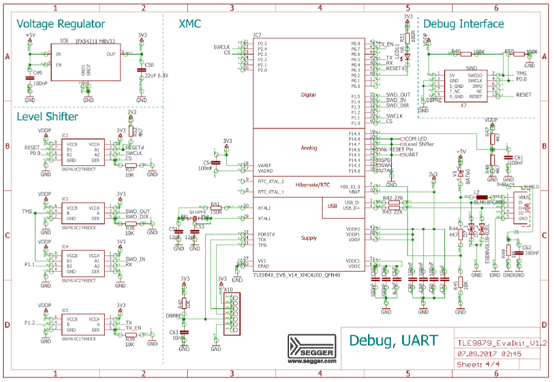 Bidirectional level shifters ensure that the respective XMC pins are in tristate as long as UART or debugging is not used. In case the user wants to use another ISP than the onboard Segger the SWD interface can be used. 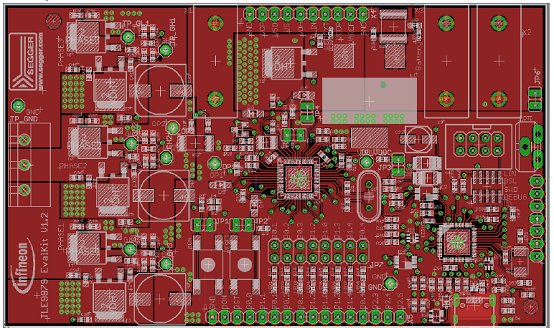 To program the TLE9879 via LIN there is an additional uIO BSL interface. There is a battery LED that indicates that the board is connected to supply the right way. Otherwise reverse polarity protection secures the board from damage by cross connection.